We had now released 12 albums on Magick Eye and it was now time for number 13. However none of our artists wanted their album to have a '13' catalogue number so our next release, Astralasia's 'Space Between became MEYCD14! A while later I was asked to listen to a demo of dark trance influenced by sci-fi film maker John Carpenter. The music was hypnotic, dark, sometimes disturbing, very atmospheric and great! An ideal release for album 13! So we released it as a limited edition CD only and it sold out very quickly - or so we thought. However a recent stock check of the Magick Eye stock room revealed a further box that had been misplaced! Therefore we have just a few left which are now available again! 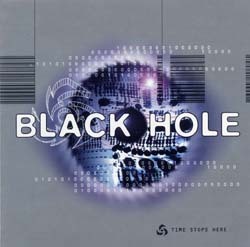 At the time we kept the identity of the artist secret but we can now reveal that Black Hole was in fact a solo album by Astralasia's Swordfish!